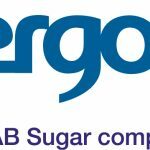 Commenting on the Government’s plan to ban petrol and diesel vehicles by 2040 as part of its Clean Air Plan, due to be formally announced today, Mark Chesworth, Managing Director at Vivergo Fuels, said: “We welcome a definitive plan from the Government to tackle air quality and carbon emissions. However, the ban on petrol and diesel vehicles by 2040 will have no impact for more than 23 years. The plan also invites many questions regarding whether we will have the infrastructure, energy supply and technology to support this level of electric vehicles within that timeframe, despite the offer of £250m to support councils as part of the Government’s planned £3bn spending package. If the Government is now taking concerns around air quality and climate change more seriously, then we strongly believe they should start tackling the issues today with E10, a readily available greener fuel containing 10 percent bioethanol. E10 offers an immediate solution to improving air quality and tackling climate change. However, even though many countries around the world have introduced it successfully and indeed have gone well beyond to introduce E85 at the fuel pumps, the UK government has failed to take similar action on emissions over the last five years. 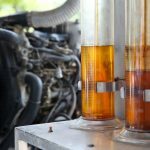 Bio-ethanol is a non-fossil renewable fuel which, when blended with petrol, has lower Nox and particulates than diesel, and is non-carcinogenic. Our industry has already invested over £1bn in the UK to produce it. It requires no new infrastructure, is compatible with almost all petrol cars today and provides a practical, simple, low cost step towards immediate action on the terrible air quality faced in our cities today. E10 also provides a greener option for the petrol needed for hybrid vehicles that many consumers are opting for today as consumer confidence in pure electric vehicles remains low. Yet again, we are missing a golden opportunity to take action today to deliver on our climate and air quality goals, and of course to support farming and those jobs in the UK already employed in this industry. Rather than kicking this issue down the road to 2040 or beyond, the Government must act now.